Preheat George Foreman® grill. 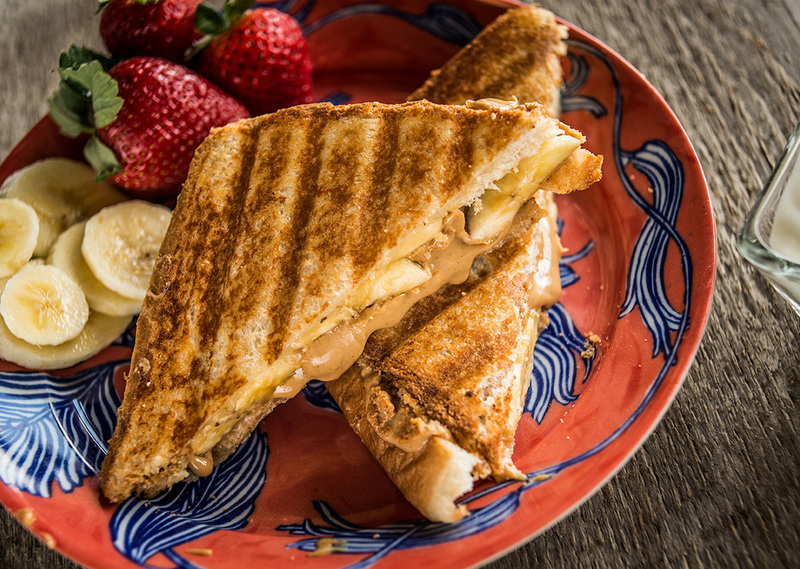 Spread peanut butter on one half of the bread, top with sliced banana and fold. Place on George Foreman® grill for 4 minutes. Remove from grill, slice down the middle and enjoy. For the Evolve Grill, preheat to 350º and cook for 4 minutes. For the Indoor/Outdoor Grill, preheat to setting 3 and cook for 3-4 minutes per side.